Sepia-toned photograph on board. Elmhurst Public School 4th Grade class. 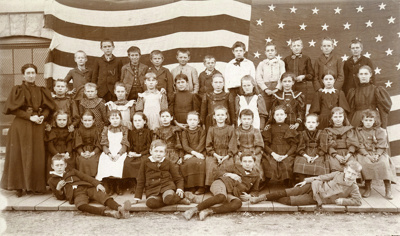 Teacher identified as Hattie Glos, on far left in third row.